Berlin based Chilean DJ and producer Chica Paula is known as a part of the Ruta5 collective along with artists such as Dandy Jack and Sonja Moonear. As a DJ Paula started out as part of the oceanclub collective and has since rocked essential Berlin clubs such as Ostgut, WMF and Tresor while she has also played throughout Europe at places such as Rote Sonne (Munich), Culture Box (Copenhagen), Zukunft (Zürich) and Le Triptyque (Paris) to name but a few. Besides her work as a DJ Paula has her own musical project Chica & The Folder together with Max Loderbauer who is also known as part of the Moritz von Oswald Trio. The Schaukeln (trans. Swinging) series combines her talent for DJing with her integral place in the monika family by presenting many of the labels recent standout releases as a DJ mix. Schaukeln 3 kicks of with Make It Work by the Greie Gut Fraktion – label founder Gudrun Gut’s collaboration with sound artist Antje-Greie Fuchs taken from their industrial themed album Baustelle. Following AGF is Gut’s solo piece How Can I Move taken from her recent album Wildlife. And another tune from Gudrun’s album Mond (trans. Moon) is featured later in the mix. Greek artists Eleni Adamopoulou aka Manakinekod’s track Like In The Movies was featured on the latest Volume 3 in monika’s ground breaking and acclaimed 4 Women No Cry concept series. Greie Gut Fraktion are represented again with their version of the Palais Schaumburg classic Wir Bauen Eine Neue Stadt, here to be heard in the remix by Kompakt boss Wolfgang Voigt. Liz Christine’s Dreaming is another tune taken from the afore mentioned 4WNC series, as are the songs by Lucrecia Dalt and Julia Holter who has achieved great acclaim recently with her latest album having been released on Domino last summer. To Rococo Rot frontman Robert Lippok is included with an excellent electronica piece that originally appeared on the Monika Baerchen compilation CD. Paula has included two songs by Barbara Morgenstern in this Schaukeln mix. Both are taken from Barbara’s most recent album Sweet Silence: Get Into The Life Pool and the title tune from the album, here in Shitkatapult boss T.Raumschmiere’s mix. 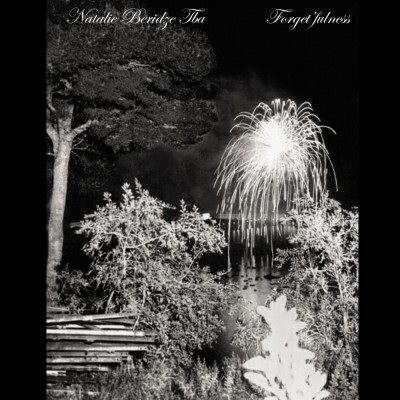 Georgian artist Natalie Beridze aka TBA was also originally featured on monika as part of a 4 Women No Cry compilation but has since released a full length album of her own on the label, the stunning Forgetfulness, from which Whatever Falls Is Sumptuous is taken. As we draw to the end of the mix there is still time to hear from FSK bassist Michaela Melian who has just released a third album, Monaco, on monika and the Brian Ferry cover Manifesto included in this episode of Schaukeln is taken from her 2007 album Los Angeles. Berlin one girl band Golden Disko Ship joins the mix with 19th Floor Elevator, a song taken from the City Splits album. And the unmistakable electro-punks Cobra Killer are included with a typically tounge in cheek sone Hello Celebrity. Paula rounds off the Schaukeln mix Huerfanos - one of her own tunes by the afore mentioned Chica and The Folder project with Max Loderbauer. Schaukeln 3 is very much Chica Paula’s personal guided tour through many recent of the best releases in the monika enterprise catalogue. The mix is a fantastic overview of the label, highlighting the immense quality and diversity of its output as well as Chica Paula’s curatorial skill as a selector and technical ability as a DJ. Schaukeln is ideal for anyone wanting to hear more underground indie music from Berlin and of the undefinable monika sound.